You can order your Italian licence translation online in under 5 minutes by clicking here. Australia is a big friend of Italians! So if you are reading this page and you are Italian, welcome to Australia! 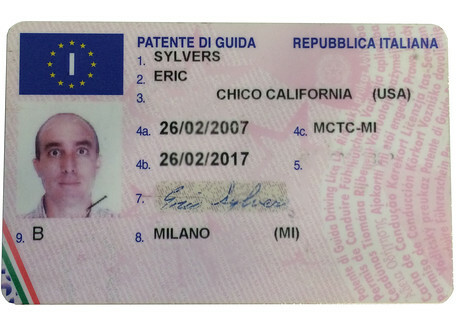 Do you need to have your Italian driver’s licence translated into English? If so, our NAATI accredited Italian translators are able to translate your Italian driver’s licence into English – really fast! Our Italian driver’s licence translation is Australia’s number 1 licence translation service. Is your service NAATI certified? Of course. The English translation that we provide you of your Italian driver’s licence is NAATI certified. This allows you to use the English translation as an official English translation of your licence in Australia. When will I receive the English translation of my Italian licence? Please see the above time frames for each option. Please allow 1-2 business days additional days for Express Postage and 5-7 business days for Regular Post. I am very happy with the service you have provided. How can I tell my friends about your exellent Italian to English driver’s licence translation service? Do you have a Facebook page? After having a terrible experience trying to translate my Italian driver’s licence with another service provider, I was delighted to come across your website. Thanks for translating my Italian driver’s licnce into English so quickly.